When your child is dealing with crooked and misaligned teeth, it is important that you consider starting them on an orthodontic treatment plan as soon as possible. Early orthodontic treatment is essential for preventing long-term problems that involve the teeth and jaw. Severely misaligned teeth can pose a myriad of issues, not all of which are “socially-based.” Problems with chewing, speaking and brushing can all result from improper alignment and the overall failure to seek orthodontic care. The American Association of Orthodontists recommends that children above the age of seven begin orthodontic care. If your child is younger than seven, there is still a chance that they have some of their primary teeth. Once the primary teeth have fallen out and the adult teeth have erupted, the dentition can be straightened and improved using orthodontics. Generally, anyone who has even a slightly misaligned smile can benefit from good-quality orthodontic work. Only a licensed orthodontist will determine your child’s eligibility for early orthodontic treatment. Along with misalignment problems, anyone who has a malocclusion (uneven bite) will benefit from regular orthodontic work. Crooked, crowded and misaligned teeth can negatively affect the way you bite. This could be the result of genetics, poor habits during babyhood, injuries that were sustained or even issues with the primary teeth themselves. Genetics play a huge role in how your child’s teeth will look when they grow their adult teeth. If you had to wear braces as a child or teenager, chances are good that your child will have to wear them, too. Many parents put off taking their child to an orthodontic office because they feel there is no harm in waiting. You might put off orthodontic treatment for your child because money is tight or you just don’t have the time to establish a treatment plan. Furthermore, you might avoid having to visit your orthodontist because you think your child is too young or will be fidgety in the chair. All of these reasons are problematic to the overall success of early orthodontic care. When your child receives orthodontic treatment as early as possible, this prevents their problems from getting worse. One specific problem that many kids and teens deal with is the constant bullying from their classmates. A straight and naturally beautiful smile will boost your child’s self-confidence and it will allow them to feel good about themselves when smiling. Essentially, it can prevent the social stigma often associated with having a misaligned or crooked smile. When you visit your orthodontist with your child to begin treatment, this also impedes oral problems from getting worse. If your child is having difficulties biting down, chewing or speaking, you need to seek out the help of a licensed orthodontist to better your child’s daily life. Time. In the early stages of orthodontic care, your child will have less work that needs to be done than if they had waited. Ortho problems can get far worse if they are left to continually develop, so early treatment is key to reducing the amount of work that needs to be implemented. Money. Early treatment means that you’ll be saving money in the long run due to a shorter treatment duration. 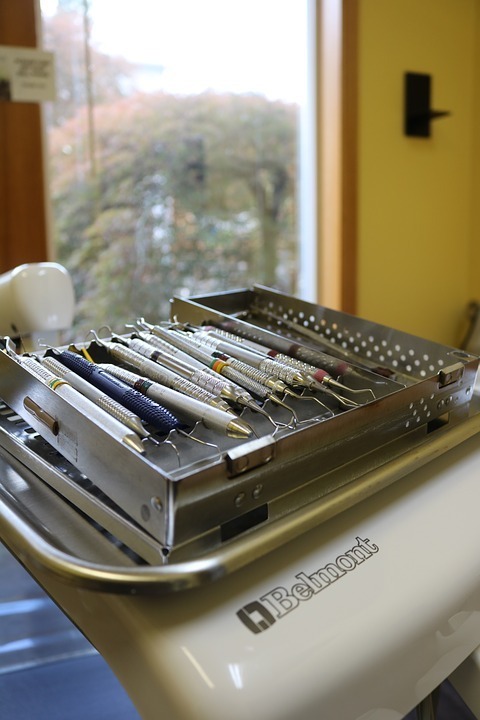 Your orthodontist can establish a budget plan you will find affordable according to your insurance plan. Effort. When your children are younger and just developing orthodontic problems, their orthodontic specialist can determine a more painless treatment plan. Early care essentially catches the misalignment problems in their tracks and prevents them from getting far worse. Depending on your child’s specific needs, your orthodontist will outline a treatment plan according to x-rays, pictures and molds cast from your child’s teeth. Parents are often surprised to learn that orthodontics pertains to more than just braces. There is a range of orthodontic treatments that your child’s specialist will consider during the duration of ministration. Pallet expanders are designed to widen the upper jaw, creating a broader and shapely smile. Headgear is often used at night in conjunction with braces to make more room for crowded teeth in the mouth. Headgear appliances are attached to brackets cemented onto the molars at the back of the mouth. Retainers are used after orthodontic treatment to further straighten the teeth and maintain the achieved results. Your orthodontist will continually change your child’s appliances throughout the course of treatment so that quality of care is unique to them. Dental insurance is vital to saving money when having your child go for orthodontic treatment. Depending on your specific office, treatment can cost thousands of dollars without the proper coverage. This can be avoided by obtaining a plan that has a comprehensive coverage plan specific to orthodontics. The insurance will outline the procedures and appliances it will cover, allowing you to determine if it is cost-effective for you. The majority of insurance plans will cover a percentage of the cost of orthodontic treatment. While this might not be 100 percent of all costs, it reduces the amount you will owe when you receive your child’s dental bill. If you do not have dental insurance for your child, your orthodontic office will often be able to put you on a payment plan based on a sliding scale. This determines how much you will pay for care according to your income. Patients often find orthodontic treatment to be far more viable when receiving the treatment they can pay off easily each month. In conclusion, it is important that parents keep in mind that early treatment for misalignment and crowding problems is detrimental to your child’s well-being. It can prevent problems from getting worse when left untreated, and it can help your child to feel better about the way they look. Beginning treatment when your child is young will also teach them the importance of oral care and those orthodontists are not scary, but are instead looking out for their best interest. You can schedule an appointment for consultation by visiting, calling or emailing Team Demas Orthodontics today. Their helpful team of experts will get your child started on their path to a beautiful smile.